A three-day class where participants learn to facilitate the dynamic Brain Gym® session process (the “balance” process), and learn how it can be used to support anyone in improving how they read, listen, express themselves, organize, focus, comprehend, and move their body in a coordinated way. 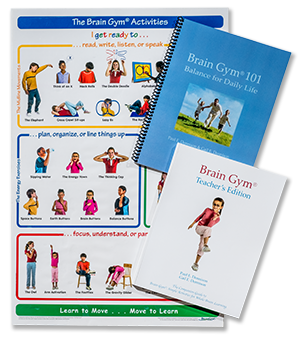 Included: Learn all 26 Brain Gym movements – how to get the most out of them, how and when to do them, and how to modify them for special needs or circumstances. Registration: $395 with your full registration or $50 deposit received two weeks in advance. $425 after that. Buddy Rate: $350 early/ $375 later. • Educate Your Brain, by Kathy Brown. 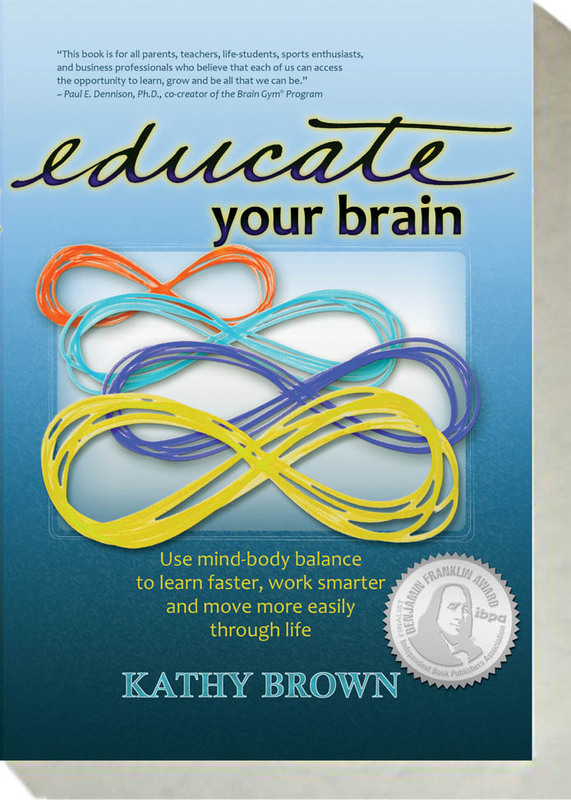 This book offers the simplified basics of Brain Gym. If you read indicated portions ahead of time, you will learn BG more easily and deeply in class. SPECIAL! — Order it now at the pre-paid price of $20 (which includes ta x and shipping), and Kathy will mail you a copy to read ahead. Available in class for $21.95 plus tax. • Brain Gym® Teacher’s Edition, by Paul & Gail Dennison. This book fully describes all 26 Brain Gym movements, and provides much supplemental information about them, and about Brain Gym. Available in class for $29.95 plus tax. What will I experience and learn in the Brain Gym® 101 course? • Dennison Laterality Repatterning (DLR) to integrate the right and left hemispheres of the brain. (Following DLR, people frequently experience marked improvements in crossing the midline, eye-teaming and tracking, and in reading quickly and easily. 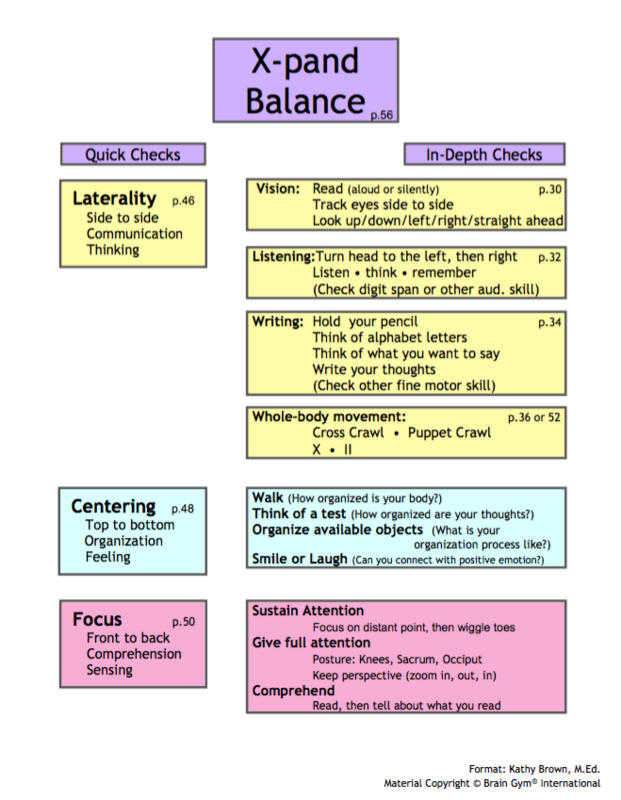 • Additional balances that enhance our ability to communicate, organize and comprehend. • How to use these practical tools in the classroom or at home.